Inspired by Dwarf Fortress and Firefly comes a new sci-fi colony sim. Driven by an intelligent AI, storytelling is generated by simulations of psychology, ecology, gunplay, melee combat, climate, biomes, diplomacy, interpersonal relationships, art, medicine, trade, and more. 14 balanced mods for Rimworld 1.0 that every player should have installed. The number one causes of food poisoning in Rimworld and how to prevent it. Learn how to make all three kinds of medicine in this ultimate guide to RimWorld. Neutroamine is a hard resource to come by in RimWorld, but here's how you can get your hands on it. We teach you how to keep all your food from spoiling in RimWorld by thinking a bit outside the box. And by building a box. Your colony isn't going to feed itself, so here's everything you need to know to begin building and maintaining a farm in RimWorld. RimWorld has hundreds of mods at a players disposal, but these five stand out among the rest for offering something truly special for the game. Rimworld is a huge early access game with lots of resources. Here's how to find one of those resources, components. Ludeon Studios is asking fans to determine the direction of the next update. Prison Architect and RimWorld may look very alike but they are two completely different games. Learn the basics of survival and colony management in this beginner's guide to RimWorld. 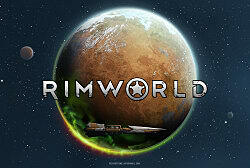 RimWorld is one of the most promising Steam Early Access titles to enter the program. Welcome to RimWorld: the love child of Firefly and Dwarf Fortress. No one has reviewed RimWorld yet! Played RimWorld yet? What did you think?